Cordoba is the perfect destination for people who like to walk without planning their route, and find good food whenever and wherever they find themselves feeling peckish. Most of the main sites are located in the historic quarter, a maze of small streets opening onto squares and courtyards. As well as historic and architectural marvels, this area brims with places to eat and shop, and it's where you'll find many of the best places to stay in Cordoba. Once the capital of a Roman province, Cordoba has also been the capital of an Arab state, and a Caliphate. In today's Cordoba, you can still see the wealth and variety of architectural wonders to prove it. As well as being a political capital many times over, Cordoba has always been considered one of Andalusia's cultural and intellectual capitals. And nothing has really changed - in summer the city runs back-to-back festivals, celebrating all kinds of art and crafts. The best time to visit is late spring early summer, when the city is at its most colourful but the heat is still tolerable! Cordoba's most famous sight, and one of the most famous sites in all of Andalusia, is the Mezquita, a gorgeous building of Moorish design which sits atop the whole city. Built as a mosque it then became a shared place of worship, then reverted back to being solely a mosque, and was then converted into a cathedral. Wonderfully, the beauty of its architecture has prevented it from being razed and a more traditionally shaped cathedral being built. And, despite its conversions, this is still one of the best places in Andalusia to come to learn more about the region's Islamic history. The historic quarter spreads out around the Mezquita. Many of the oldest and most interesting cafes and boutiques can be found along the especially tiny alleyways of the Jewish quarter to the west and north. This part of town was built in the Middle Ages, and it has a warren of fascinating buildings to discover. If you're looking for nightlife then head out into modern Cordoba, around the station. Some of the restaurants and bars here have become tourist destinations in their own right. A trip to Cordoba wouldn't be complete without a visit to the stunning Mezquita. Head around the Alcazar de los Reyes Cristianos with an audio guide to learn all about its rich history. Their lovely gardens are also a top spot in which to enjoy a picnic and relax while taking a break from sightseeing. Be sure to visit the Archaeological Ensemble of Madinat Al-Zahra, the ruins of a vast medieval Arab palace-city. 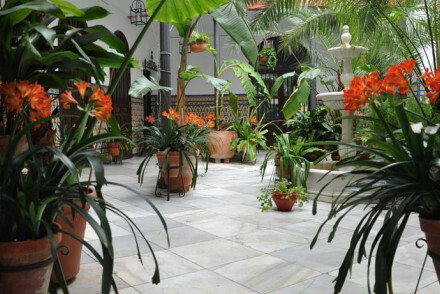 If you're in Cordoba during the Patio Festival (which usually takes place in May), then wander around and take in the magnificently decorated patios all around the city. Brimming with colours and featuring a large array of flowers, it's a wonderfully charming time. 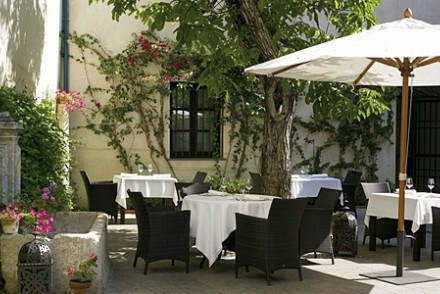 Use our guide to the best places to stay in Cordoba, Andalucia, and start to plan your visit. 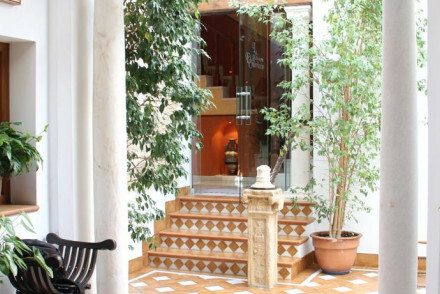 The Hospes Palacio del Bailio fantastically melds Moorish authenticity with contemporary style. Faded frescoes, sand coloured stone and Roman baths are complemented by modern comforts. Definitely one of the best places to stay in Cordoba if you've an interest in Moorish design. Check out the Hotel Casa de Los Azulejos: on his return from Mexico the hotel owner opened Cordoba's first Mexican restaurant in the cellar of this townhouse, later converting the rest of the house into an eight room hotel with a colonial/ Mexican feel. The breakfast is especially good. With doubles starting from less than £70 a night, this is also great value. Packed with wonderful local antiques, La Hospederia de El Churrasco has let both Moorish and Roman design influence its rather ornate decor. It's got a lovely quiet courtyard, too. Contemporary, stylish rooms and a central location - Hotel Viento 10 is a very decent base from which to explore Cordoba. If you think a self-catering option would best suit your needs, browse through the wide variety available online with our partner, Booking.com. The weather is nicest in the summer months, with the average temperature climbing to a sultry 28°C in July! Be warned though that this is peak season, so Cordoba will be busier and more expensive than at other times of the year. If you fancy avoiding the crowds then May or September are good bets, and the weather is still incredibly pleasant. International visitors can fly into Seville Airport. There are direct flights daily from London Stansted and Gatwick with Ryanair, British Airways and EasyJet. From the airport, take the train to Sevilla Santa Justa and then on to Cordoba, which takes an hour and a half in total. For car hire, which we strongly advise if you want to get out and explore further afield, we recommend you visit our online partner Rentalcars. 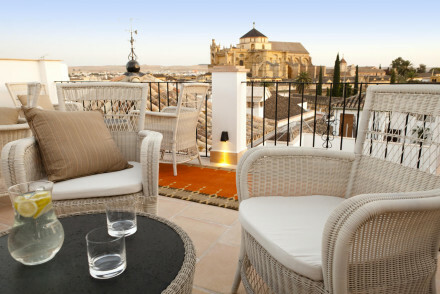 Browse though our list of all the best places to stay in Cordoba. Alternatively, widen the net and consider our Guru's recommendations for the best places to stay in Andalusia. Ten charming, uniquely designed rooms, from beautifully bright doubles to luxury suites with private terraces, all with smooth sandstone en suites. Restaurant serving traditional dishes created with fresh local produce. Panoramic views from stylish balconies; the perfect romantic escape. Hotel Viento10 offers stylish, modern accommodation in the historic centre of Córdoba. Start your day with a continental breakfast, head off exploring and then come back to relax in the jacuzzi or enjoy a drink on the rooftop terrace at sunset! A classy city spot in a great location. Local exploring - With so many sites nearby you'd be amiss not to see all that the city has to offer! Sights nearby - The stunning Mezquita de Córdoba is a must visit!